As we say goodbye to 2014, it is time to reflect on the films we have seen and reviewed in the past twelve months. In this film year, we have seen and reviewed many of 2014's new releases and from those films we have compiled our list of the top ten films of the year. Each of these films were completely thrilling to watch as they are all examples of incredible and inspired film making and are all highly recommended. Please note that the top ten are based on the films which were part of the 2014 Australian release schedule. 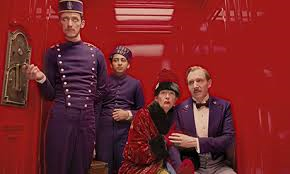 Wes Anderson's latest piece of cinema, The Grand Budapest Hotel is absolutely nothing short of grand itself. There is so much to marvel at during a viewing of this quirky but brilliant film. So much that you feel as though you need to watch it again just in case you missed something the first time around, and this is no bad thing. The whole film is a beautiful piece of art thanks to it's amazing visuals, extraordinary cinematography, interesting characters and wonderful screenplay. Once My Mother is an incredibly generous offering from Sophia Turkiewicz, who shares her mother's extraordinary story in an extremely effective way by combining her and her family's personal experience with history and using a beautifully personal form of narrative. Turkiewicz's ode to her mother is exceptionally well made and is as heartbreaking and shocking as it is loving and inspiring. It is a rare experience that opens the doors of an incredible family history and invites all in to witness their pain and triumph. Jim Jarmusch's Only Lovers Left Alive is a beautifully entrancing film like no other. It attempts the complex task of marrying the traditional with the modern in it's creative take on a popular cultural phenomenon and due to Jarmusch's incredible direction and vision results in something truly elegant. 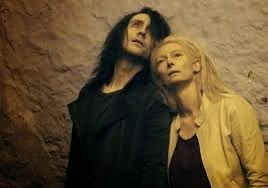 While there have been no lack of creature of the night films in recent times, Only Lovers Left Alive is not only an unique interpretation of how they live in today's society, but also a love story which is wonderfully portrayed by Tilda Swinton and Tom Hiddleston. 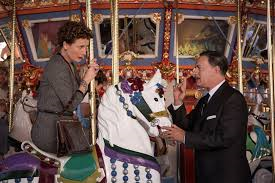 Saving Mr Banks is complete and utter joy. This joy doesn't just stem from the fact that it is a beautiful film, but also from the revelation that this film isn't just for Disney fanatics. It is a film for all to enjoy and appreciate. In Saving Mr Banks Disney has made their best live action film in years. While many were worried that this would be a Disney film about Disney which means that it could have well turned into primarily a major marketing tool for the empire. Even though there are plenty of Mickey Mouse references in the film, there is a great deal more emotion than one could have ever expected thanks to an impressive screenplay and some truly wonderful performances, especially by Emma Thompson. In the film, P.L. Travers accuses Walt Disney of wanting to give Mary Poppins the Disney treatment and making her twinkle, yet Saving Mr Banks relies very little on sugar coating when creating a truly wonderful film. Richard Linklater's Boyhood is a beautiful and ground-breaking piece of cinema that's power lies in the subtlety of life's most meaningful moments. Twelve years in the making, Linklater's masterpiece is the true definition of a coming of age film and is revolutionary in it's production. Boyhood is made with a huge amount of love for life and for the process of growing up without any use of exaggeration. Mason is more than a character in a film, he is a boy you form an attachment to and cherish the opportunity to watch grow up. 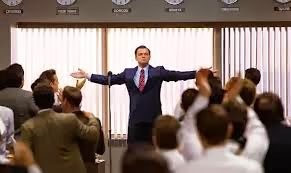 The Wolf of Wall Street is another amazing piece of work by the dynamic duo that is Martin Scorsese and Leonardo DiCaprio. The story of the "Wolf" is intriguing and entertaining and keeps the viewer's undivided attention for the entirety of the film. The film is unexpectedly hilarious and pleasingly shocking at the same time, while also making you contemplate the ethics of the actions of Jordan Belfort. Leonardo DiCaprio is a force to be reckoned with in his fifth partnering with the great Martin Scorsese and the combination of these two proves once again to be a winner. 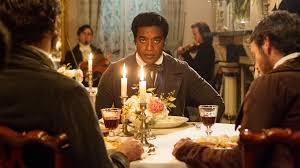 !2 Years A Slave was without a doubt the most powerful feature film of the year. It has everything one would associate with a perfect film and Academy Award winner as it is completely unforgettable and immaculately made. 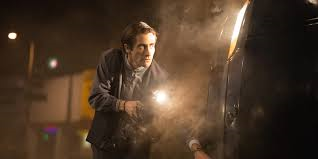 As a result of it's perfect direction by Steve McQueen and incredible performances by all the actors involved as well as a wonderful adapted screenplay, the film is overwhelmingly emotionally powerful and honest in the most brutal way. It is a painful, but wonderful cinematic experience which consists of so many best achievements for the year in film. James Gray's The Immigrant is a truly exquisite piece of work. Visually stunning and reminiscent of 1920's New York City, the tale of a woman's journey to a new and promising land which turns to disaster is extraordinarily tight knit and flows wonderfully without being clichéd or predictable. 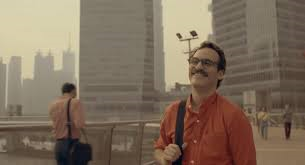 Marion Cotillard and Joaquin Phoenix are both superb as two strong characters with a great deal of complexity and depth. 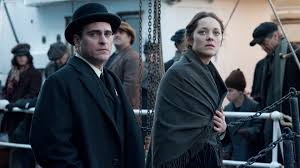 The Immigrant is as stunning on the surface as it is subtly complex. After you understand what you're daily price of living (expenses) are,month and by the close of the year on this site.